Are you refinishing hardwood floors? We sand, stain and finish. Do you need to sand, stain and finish your hardwood floors? Tired of looking at the dents, scratches, and dull surface? CC Flooring Professionals can help you refinish your hardwood floors. We are local, insured, and have extensive experience with refinishing hardwood flooring. Is it cheaper to refinish wood floors or replace? Most of the time is less expensive to refinish your hardwood floors. Wait before you decide to tear out your flooring. Sanding, staining, and finishing flooring can be less expensive. 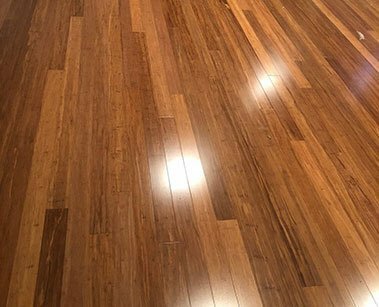 Hiring a professional to refinish hardwood floors is imperative to prevent damaging your flooring and eliminate the risk of undesired results. We can spruce up your place! How long does it take to resurface hardwood floors? Our flooring contractors will come out and give you an estimate. Once you hire CC Flooring Professionals we will begin the process. It takes 2-3 days of drying time after we sand, stain, and finish the hardwood floors. How long does hardwood floor finish last? When you recoat your hardwood floors the finish should last 8-12 years, depending on how rough you are on the floors. Recoating can be done every 3-5 years as a maintenance option. Hiring a professional hardwood refinishing company is a great way to ease the process of restoring your floors. You need a company who can give you expert services with fair pricing. CC Flooring Professionals takes great pride in every project and assist you through the entire process. Ready to get started? It’s easy. Give us a call or send us a message. That’s it! We will assist you and give you valuable information about your home investment.